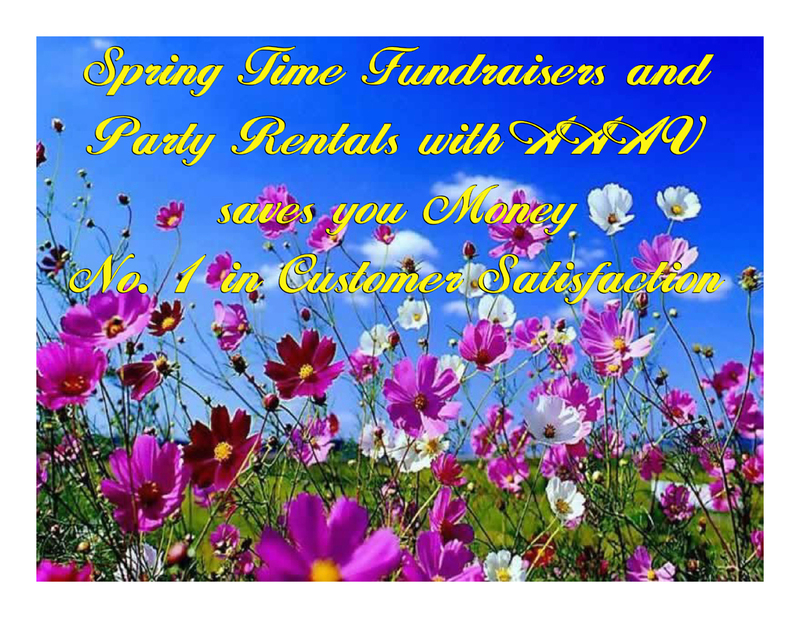 Party Sound System Rentals|Lighting Packages|Portable|Los Angeles|Southern Calif.
Price shown is first-day rental rate. Week rate is 4 times daily. Bring your IPod and be your own Disc Jockey. This package will fill the room with clean sound that will amaze your friends. Complete with a remote controlled IPod docking station or a CD player. These Subwoofers will Thump, Thump, Thump and get your feet moving to the beat! 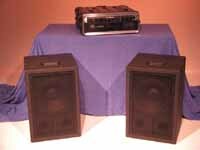 This system includes the IPod Party Package with the IPod Party Subwoofer Package. 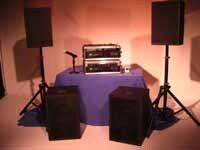 Combing both packages saves money and creates a total sound spear that goes beyond the average party sound package. You will be amazed at the clarity, warmth, and power this system offers. Complete with a remote controlled IPod docking station or a CD player. 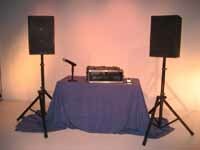 This system includes the IPod Party Package with the IPod Party Subwoofer Package, and Techno Storm LED Party Dance Floor Lights. Combing all these packages saves money and creates a total sound spear that goes beyond the average party sound package and lighting that will complete the ambiance for your dance floor. You will be amazed at the clarity, warmth, and power this system offers. Complete with a remote controlled IPod docking station or a CD player. This system includes the IPod Party Package with the IPod Party Subwoofer Package, and Vertigo Rush LED Party Dance Floor Lights. Combing all these packages saves money and creates a total sound spear that goes beyond the average party sound package and lighting that will complete the ambiance for your dance floor. You will be amazed at the clarity, warmth, and power this system offers. Complete with a remote controlled IPod docking station or a CD player. This system includes everything in the IPod Party Package Delux and one more Techno Storm Party Lights Kit (that's 2 Techno Storm Light Kits or substitute a Vertigo Rush LED Light Kit in place of one). The lights now rotate and shine on every surface around your dance floor ceiling and walls. Quite a spectacular system at a amazing price. This system includes everything in the IPod Party Package Delux and one more Vertigo Rush Party Lights Kit (that's 2 Vertigo Rush Light Kits or substitute a Techno Storm LED Light Kit in place of one). The lights now rotate and shine on every surface around your dance floor ceiling and walls. Quite a spectacular system at a amazing price.  Extreme excitement for your dance floor and entire room. Create an effect that will have everyone talking about your party, Wedding, Anniversary, Bar/Bat mitzvah, Quinceanera, Sweet Sixteen, etc..!  Transform your event from basic to amazing with these blacklights great for Halloween, Bridal Showers, Anniversary, Bar/Bat mitzvah, Quinceanera, Sweet Sixteen, etc..! Add Additional packages to cover more space $60.00 ea. Add a Mini Laser to create a starfield of magnificent beauty just $25.00 ea. Amazing Color and Possibilities for all uplighting creations. Excellent for embellishing your party decor.